The beautiful Ritz-Carlton Residences Waikiki Beach offers the amenities of a luxury hotel with the flexibility and convenience of a vacation residence. The resort’s airy eighth-floor lobby sets the stage for a getaway inspired by the island’s surrounding natural beauty –and experiences drawn from local traditions are the starting point for a distinctive wellness vacation in one of the world’s most vibrant destinations. Skilled therapists at The Spa at the Ritz-Carlton Residences will heal and revitalize your body and spirit, and you can choose from a full menu of treatments Inspired by traditional healing methods of the Hawaiian Islands. This gorgeous beachside resort also boasts the two highest infinity pools in Waikiki, a 24-hour fitness center, designed by celebrity trainer Harley Pasternak, and a yoga studio for group and private classes. And when it’s time to dine, you’ll discover notable restaurants including the Market, Sushi Sho and Dean & Deluca. Perfect for a romantic getaway or a fun family vacation, The Ritz-Carlton is just a five-minute walk to the ocean and steps from shopping at Luxury Row. 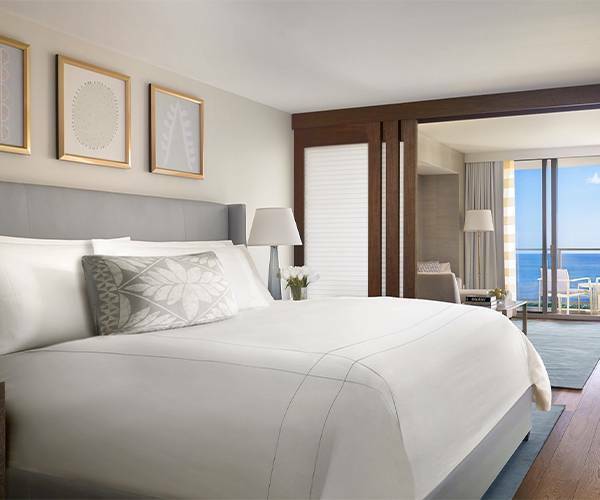 The Ritz-Carlton Residences Waikiki Beach: Say goodbye to stress, and hello to relaxation, adventure, and happiness. Surrounding by opportunities for outdoor activities, your stay at the Ritz-Carton Residences is the ideal way to enjoy a personal wellness retreat. Whether you choose a therapeutic massage with heated volcanic stones at the luxurious Spa or join a yoga class at the fitness center, you’ll find a blissful escape to paradise. And the spa’s skilled practitioners will guide you to well-being with customized treatments inspired by the balancing elements and traditions of Hawaii. The 24-hour fitness center, designed by celebrity trainer Harley Pasternak, reflects Waikiki’s natural beauty while offering the latest in exercise equipment. The center also offers a yoga studio for group and private classes, a HOIST MotionCage for boxing, strength training and step-ups and a movement and stretching area. 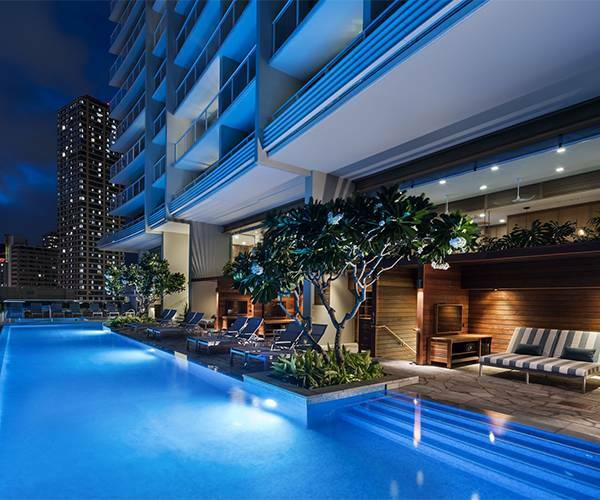 The Ritz-Carlton Residences are located steps away from Waikiki Beach and close to some of the most iconic attractions in Hawaii including the Honolulu Zoo, the USS Arizona Memorial and the Luxury Row shopping and dining complex. This stunning resort offers a full-service spa, fitness center and two infinity pools. There is also range of dining options from breakfast, lunch and dinner at The Market to unique experiences at Hawaii’s debut locations of Dean & DeLuca and Sushi Sho. In addition, if you’re planning a meeting, wedding or special event, the resort’s experts in planning, the culinary arts, technology and décor are ready to help you create your dream occasion. And because this is a Ritz-Carlton resort, the dining is exceptional. An influential sushi chef from Tokyo brings his flawless technique Sushi Sho. All-day dining at The Market highlights local, seasonal ingredients. And casual dining gets a gourmet twist at Dean & DeLuca.